When you’re running a small business, sometimes there’s VERY little room in the budget for digital marketing. But does that mean you should forgo all digital marketing methods? Heck no! 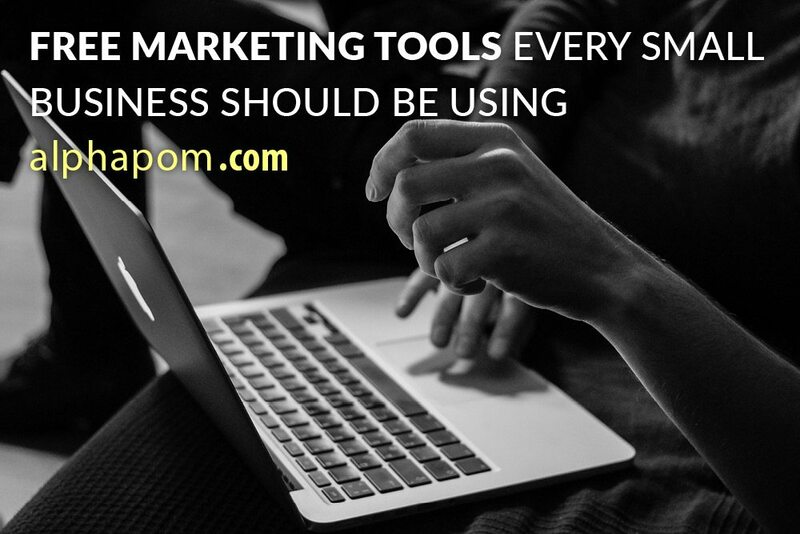 There are a lot of great marketing tools out there that you can pay for, but there are also many fantastic ones that are FREE. Here’s a list of new and emerging softwares that can make your life easier, engage your users, and take your digital marketing strategy to the next level. Yoast – Fantastic for WordPress websites, Yoast allows you to create an open graph format for sharing into social media from your blog or website. With Yoast, you can edit what the share looks like, which includes the image, excerpt or snippet. Yoast can help you boost your SEO because it will show you the things that need to be completed on your website in order to show up on the search engines. SUMO – SUMO helps you improve your conversion rate so more people go from visitor to consumer. This tool can help get more people onto your email list. Its full suite of tools is designed to help you get more traffic in non-intrusive ways. It will also help you track user activities and create a heat map, which shows you what users are clicking on the most. Allows you to see what is important and put it front and center. AllTop – Do you need some help with your blogging content? It’s AllTop to the rescue! AllTop helps you improve your blogging content and what you’re sharing on social media. AllTop lets you know what’s trending, what people are consuming, sharing, and loving so you can stay ahead of the curve. The viral section will show you what has gone viral so you can find content that’s in alignment with something you would share. Hubspot Blog Topic Generator – Do you have a hard time finding topics to write about? Start with your general topic and narrow it down with Hubspot’s help. The generator will churn out blog ideas (titles) of articles that people will read. Later – Formerly known as Latergram, Later shows you how to pre-post to Instagram, Twitter, Facebook, and Pinterest. Their free program is fantastic, however, you should avoid using Later to pre-post on Facebook since their algorithm will knock you down on the organic reach. Pre-posting or scheduling your Facebook posts ahead of time should be done on Facebook’s software. Bit.ly – This is a great resource for shortening long, drawn out links (such as those to sales pages, affiliate links, etc.). Shorten links for your social posts, website, blog, emails, and more. Canva – If you’re not using Canva, you’re seriously missing out! This free software program is easy to use, creates awesome graphics, and lets you use your own images for branding purposes. Unsplash – This is a great resource for high-quality royalty-free images to use for your website, social media posts, paper ephemera and more. Make sure to check out the front page because it shows the latest images that have been uploaded! Mention – Mention allows you to monitor your business and brand name online. It’s a little bit like Google Alerts but covers anywhere on social media, which makes Google Alerts unnecessary. Are you ready to take your digital marketing strategy to the next level? If you’re a small business in the Cedar Rapids, Iowa area and are looking to improve your online presence, speak to the team at Alphapom today. We specialize in social media management, website design, SEO, blogging, and more.